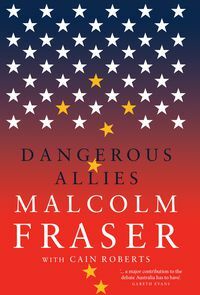 Malcolm Fraser served as Australia's 22nd Prime Minister from 1975 until he resigned from federal politics in 1983 after 28 years as the Federal Member for Wannon. He held several ministries during his time in Parliament, including Minister for the Army, Minister of State for Defence and Minister for Education and Science. 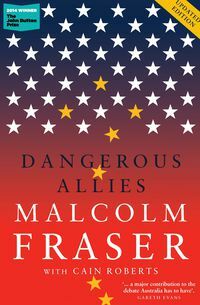 Since leaving government Mr Fraser has played a distinguished role in international relations. He was Co-chairman of the Commonwealth Committee of Eminent Persons in 1986, formed to encourage reform in South Africa. 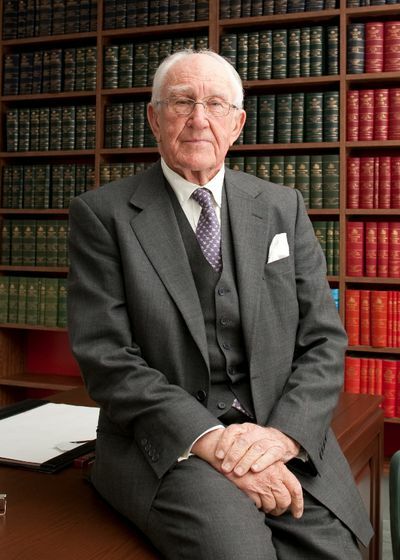 He served as Chairman of CARE Australia from 1987 until 2001, and President of CARE International from 1990 to 1995. He was a foundation Board Member of the International Crisis Group from 1996 to 2000 and has served as a Senior Advisor there since. In 2011 he became a member of the Asia-Pacific Leadership Network for Nuclear Non-Proliferation and Disarmament. Mr Fraser has been appointed a Companion of the Order of Australia and received the President's Gold Medal for Humanitarian Service from B'nai B'rith International, as well as the Australian Human Rights Medal from the Human Rights and Equal Opportunity Commission. 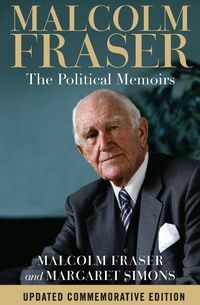 In March 2010 Malcolm Fraser: The Political Memoirs by Malcolm Fraser and Margaret Simons was published by The Miegunyah Press.